Recently I’ve begun testing ASP.NET.SignalR, an open source project that supports real-time web functionality in our application. in no-time. It can run with browsers that supports HTML5 WebSocket or long polling (IE 8). 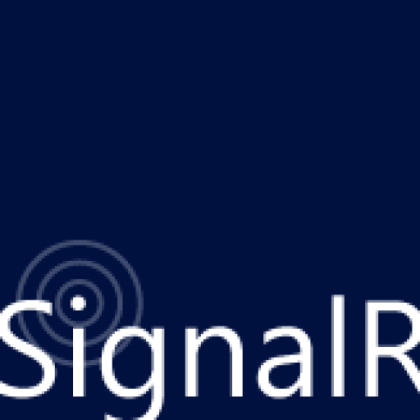 In this post I’ll demonstrate how to work with SignalR along with a few basic terms related to it. related packages along with jQuery and JSON.Net packages which SignalR packages depends on. Now, what we need to do is to have some code that will act as our service, in SignalR terms it is called Hub. for each and update the time left. Note the Clients.All.<method> , Clients property of Hub class has the connection context, and its type is self explanatory ConnectionContext . while signalR knows which of those features to use. It depends on jQuery on client side and Newtonsoft.Json (and ASP.NET) on server side. It is still in alpha stage but sure worth a try, knowing how to use it will help you create great Http based applications. The entire sample can be downloaded here. I had to make _game static in order to avoid multiple hubs being created with multiple clients. Dan you’re absolutely , it is recommended not to have these fields instantiated with the hub. The downloaded example doesn’t do so. I’ve noticed that the example shown does so and I’ll correct it. Im working on a solution where i have two clients who talk to each other using SignalR websockets. As Websockets is just a transport layer, i’ve wanted to understand how SignalR will handle messaging. for example: should i develop my server differently if i know that the clients will send to each other large amount of 64bit long messages as opposed to just a persistent stream? Well Maor, SignalR puts some overhead over messages sent over the wire (It could be WebSocket where supported but it can be Server-Send-Events, ForeverFrames, or LongPolling) . The overhead signalR puts is rather small however If the server purpose is only for persisting connection between to other customers, you might want to check out WebRtc for direct connection, while the server is used for discovery purposes. This is how you may remove loads from the server.